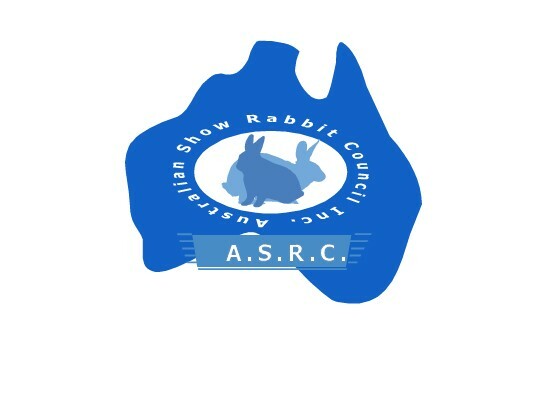 Please find below the schedule of prizes for the 2012 Sydney Royal Rabbit Show. We thank our supporters for their kind donations. Best In Show - trophy & sash RAS of NSW. The Pet Directory product valued $80. Voucher for 20kg bag of Jack Rabbit & Fibre Cycle Product. Runner Up Best Rabbit In Show - trophy & sash ASRC. Voucher for 10kg bag of Jack Rabbit & Fibre Cycle product. Best In Show Perpetual - trophy & rosette - ASRC & The Pet Directory. Best Fancy In Show - trophy & sash RAS of NSW. The Pet Directory product valued $80. Voucher for 20kg bag of Jack Rabbit & Fibre Cycle Product. Runner Up Best Fancy In Show - The Pet Directory product valued $80. Trophy & sash ASRC & Fibre Cycle Product. Best Lop In Show - trophy & sash RAS of NSW. The Pet Directory product valued $80. Voucher for 20kg bag of Jack Rabbit & Fibre Cycle Product. Runner Up Best Lop In Show - The Pet Directory product valued $80. Trophy & sash ASRC & Fibre Cycle Product. Best Fur In Show - trophy & sash RAS of NSW. The Pet Directory product valued $80. Voucher for 20kg bag of Jack Rabbit & Fibre Cycle Product. Runner Up Best Fur In Show - The Pet Directory product valued $80. Trophy & sash ASRC & Fibre Cycle Product. Best Rex In Show - trophy & sash RAS of NSW. The Pet Directory product valued $80. Voucher for 20kg bag of Jack Rabbit & Fibre Cycle Product. Runner Up Best Rex In Show - The Pet Directory product valued $80. Trophy & sash ASRC & Fibre Cycle Product. Best Kitten In Show - trophy & sash RAS of NSW. The Pet Directory product valued $80. Voucher for 10kg bag of Jack Rabbit & Fibre Cycle Product. Runner Up Best Kitten In Show - The Pet Directory product valued $80. Trophy & sash ASRC & Fibre Cycle Product. Best Junior In Show - trophy & sash RAS of NSW. The Pet Directory product valued $80. Voucher for 10kg bag of Jack Rabbit & Fibre Cycle Product. Runner Up Best Junior In Show - The Pet Directory product valued $80. Trophy & sash ASRC & Fibre Cycle Product. Best Adult In Show - trophy & sash RAS of NSW. The Pet Directory product valued $80. Voucher for 10kg bag of Jack Rabbit & Fibre Cycle Product. Runner Up Best Adult In Show - The Pet Directory product valued $80. trophy & sash ASRC & Fibre Cycle Product. Best Juvenile Owned - trophy & sash RAS of NSW. The Pet Directory product valued $80. Fibre Cycle Product & $25 voucher Kellyville Pets. Runner Up Best Juvenile Owned - sash ASRC & Fibre Cycle Product. Best Long Coat - The Pet Directory product valued $80. trophy & sash ASRC & Fibre Cycle Product. $50 voucher IxCHel Fibre Art. Runner Up Best Long Coat - sash ASRC & Fibre Cycle Product. Best Owner Bred In Show - The Pet Directory product valued $80. trophy & sash ASRC. Voucher for 10kg bag of Jack Rabbit & Fibre Cycle Product. Runner Up Best Owner Bred In Show - sash ASRC & Fibre Cycle Product. Best Unrung In Show - The Pet Directory product valued $80. Trophy & sash ASRC & Fibre Cycle Product. Runner Up Best Unrung - sash ASRC & Fibre Cycle Product. Best Exhibit - Fibre Competition - rosette ASRC & $50 voucher IxChel Fibre Art. R/U Best Exhibit - Fibre Competition - sash ASRC. In Show product vouchers kindly donated by Laucke Mills. 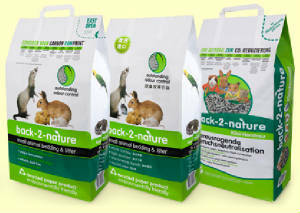 Swiss Fox - The SA Rabbit Fanciers Society Inc.
Additional in show product prizes "Back 2 Nature" small animal pet bedding, kindly donated by FibreCycle.